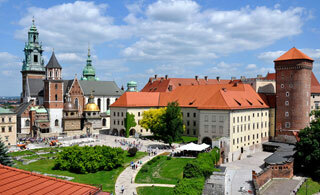 The Wawel Royal Castle and the Wawel Hill constitute the most historically and culturally important site in Poland. For centuries the residence of the kings of Poland and the symbol of Polish statehood, the Castle is now one of the country's premier art museums. This article uses material from the Wikipedia article "Wawel Castle", which is released under the Creative Commons Attribution-Share-Alike 3.0 License.